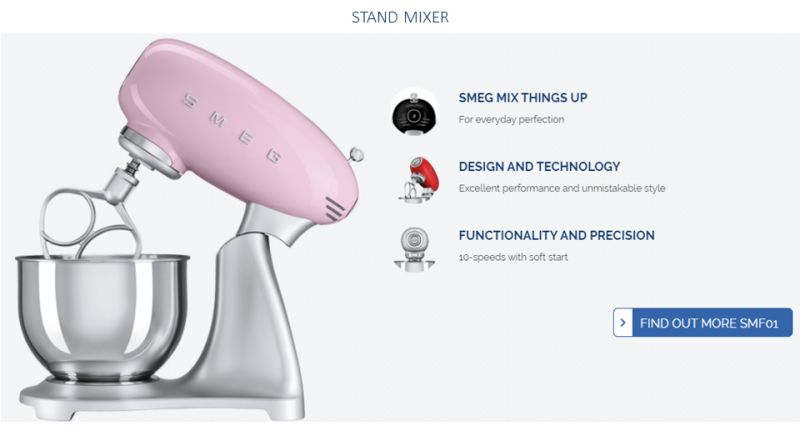 Smeg have done it once again! 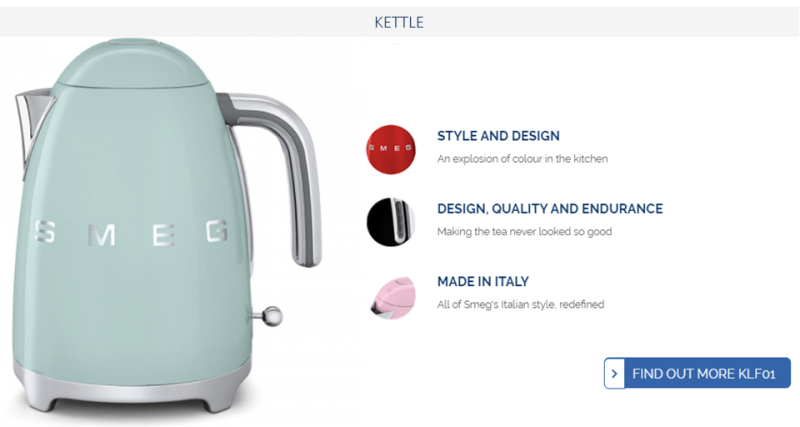 The Italian appliance powerhouse has added detail to its iconic styling and timeless design to create a stunning new range of small domestic appliances. Realized in collaboration with Italian architects Matteo Bazzicalupo and Raffaella Mangiarotti from deepdesign, these appliances are curved, compact and will definitely be the star characters of the kitchen! 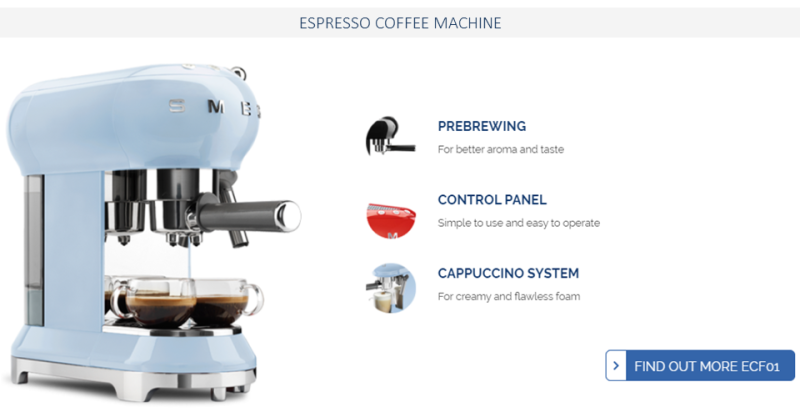 The collection consists of new toasters, kettles, stand mixers, blenders, espresso machines and slow juicers – all designed to optimize the cooking environment by ensuring excellent performance in all stages of food preparation with powerful personalities to match. 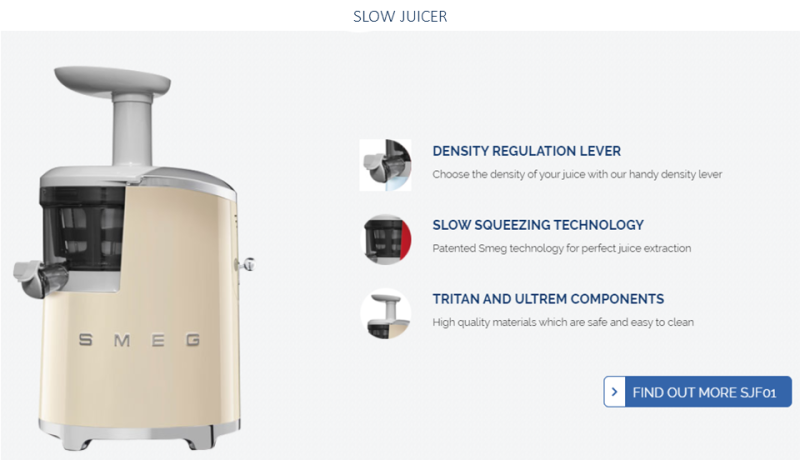 To discover these small appliances and their colour versions, visit our showroom or click on their respective image below. Capable of breathing new life into old ways and transform any space that they occupy. 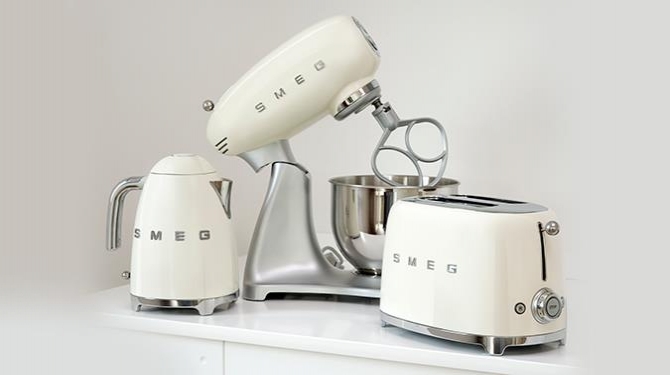 The new 50’s Retro Style small appliances by Smeg recollect the past but certainly one for the future. Get yours today! appliance store barbados. appliances barbados. smeg appliances barbados. retro appliances. small appliances. european appliances. kitchen appliances barbados.appliance store barbados. appliances barbados. smeg appliances barbados. retro appliances. small appliances. european appliances. kitchen appliances barbados .appliance store barbados. appliances barbados. smeg appliances barbados. retro appliances. small appliances. european appliances. 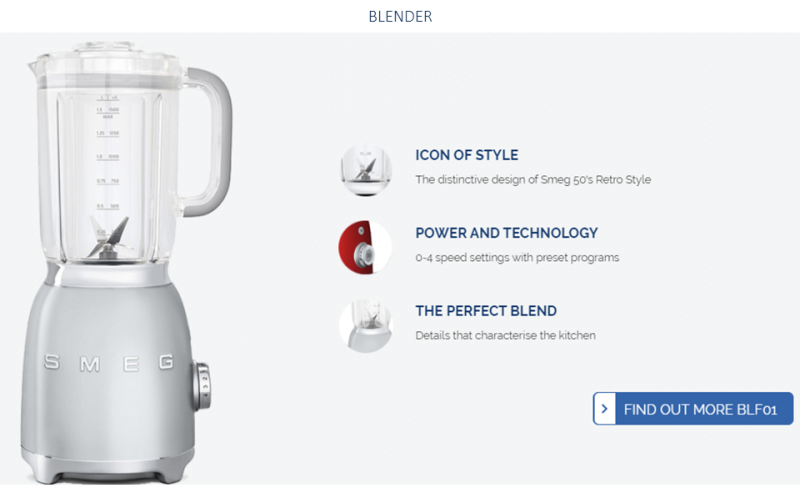 kitchen appliances barbados.Smeg have done it once again!